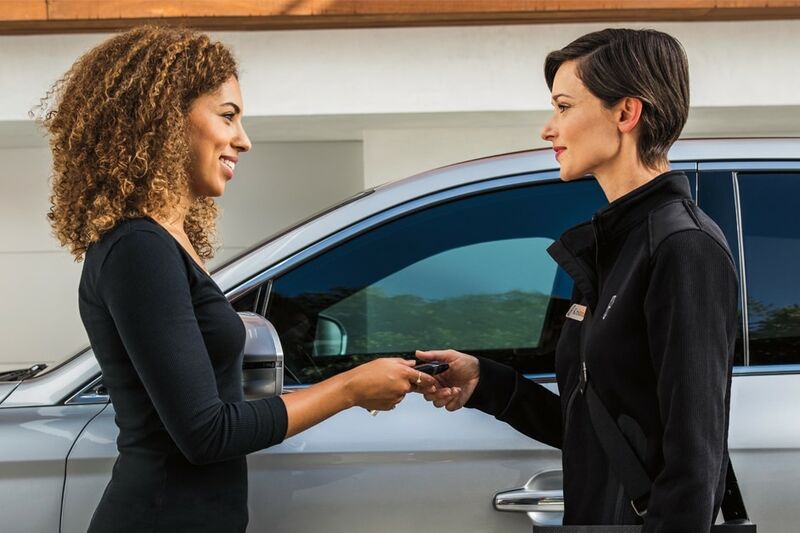 Discover the joys of driving a new Lincoln model with Forrester Lincoln in Chambersburg, PA.
For more than 50 years, we've provided first class service and a dealership experience that's second to none in our community. Greencastle, Carlisle, Waynesboro, PA and Hagerstown, MD drivers rely on us to find a vehicle that meets their needs and ensure it continues to perform for every mile. We pride ourselves on offering a stunning fleet of luxury cars, simple auto financing, and exceptional maintenance & repairs. Whether you're looking for the luxury of a new Lincoln or a quality pre-owned car, truck, SUV, our dealership has lots of offerings for you. We carry pre-owned cars from a wide variety of top makes and models. With those and many other advantages we'll tell you about below, it's easy to see why Forrester Lincoln excels in everything automotive. Test drive a new Lincoln MKX, MKT, Continental, MKC, MKZ, Navigator or any car that revs your engine! We're certain that you'll be thoroughly impressed by Lincoln's impeccable style, luxurious ride and first class amenities. Of course, Lincoln vehicles are engineered to display thrilling power and high-performance while assuring your safety, comfort and connectivity throughout every mile. Moreover, Lincoln is a modern marvel of automotive technology with features like Apple CarPlay, forward collision warning, parallel park assist and many more of your favorite features. Suffice it to say, a new Lincoln sedan, crossover or SUV is the perfect travel companion for your next commute, road trip or weekend adventure! We've maintained our reputation of being your local Ford experts by ensuring that the used Ford you drive off our lot serves you well over time. Our standard? Only Genuine Ford Parts and maintenance technicians who know the intricacies of the brand inside and out will be found at Forrester. And with competitive pricing against other Auto Service providers in town, the choice is simple for our customers. Integrity is important to us, which is why we take pride in our Ford Service and Ford Parts expertise. You don't have to have purchased a car from us to be part of our Forrester Family, and we believe every interaction you have with our business will prove that! You clearly take tremendous pride in your car if you've made the wise choice to drive a new Lincoln. Naturally, you'll want to ensure that your car continues to look and drive like new for many thousands of miles. For that reason, we recommend bringing your car into our Lincoln Service Center for regularly-scheduled maintenance and repairs. Our Service Center is wholly dedicated to providing unrivaled service in a timely and affordable manner. You can trust us to use Genuine Lincoln & Ford parts and accessories to perform major repairs, body work and essential services like oil change, engine tune-up, tire rotation, brake repairs, transmission flush, state inspection or anything your car needs. Put your car in our hands and we'll restore its original quality and sparkling condition before long! Selecting your new Lincoln or Ford SUV, Truck or Car is the first step, then our Auto Finance team will assist you with a financial solution to drive away in the car of your dreams. We lend you the expert assistance of our Auto Finance team to make the process of financing your car as simple and straightforward as can be. We'll make it easy for you to determine whether to buy or lease before developing a finance solution that works best for you. It's only a matter of time until you take the wheel of your stunning new Lincoln vehicle! Visit Our Dealership from Greencastle, Waynesboro, Hagerstown, & Beyond! Are you ready to find the luxury car or used Ford of your dreams? Maybe you'd like to service your current car? Then all you have to do is stop by Forrester Lincoln in Chambersburg, PA and experience the awarding winning service that has been provided since 1965. Local Auto Dealership proudly selling new Lincoln Luxury Sedans, Crossovers, & SUVs, and quality pre-owned Ford vehicles. Serving: Waynesboro, PA, Greencastle, PA, Carlisle, PA , Chambersburg, PA, and Hagerstown, MD.